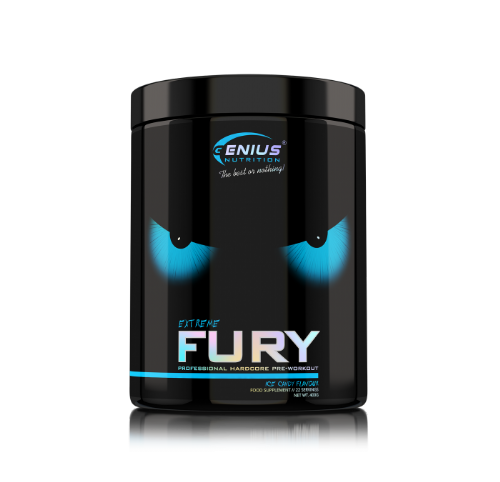 L-Citrulline DL Malate 2:1 - The product contains a precisely measured dose of 7,000 mg for that unparalleled pumping effect you've already experienced with Fury Extreme. Wait a second… pumping effect with no arginine or AAKG? Yes, that's right. 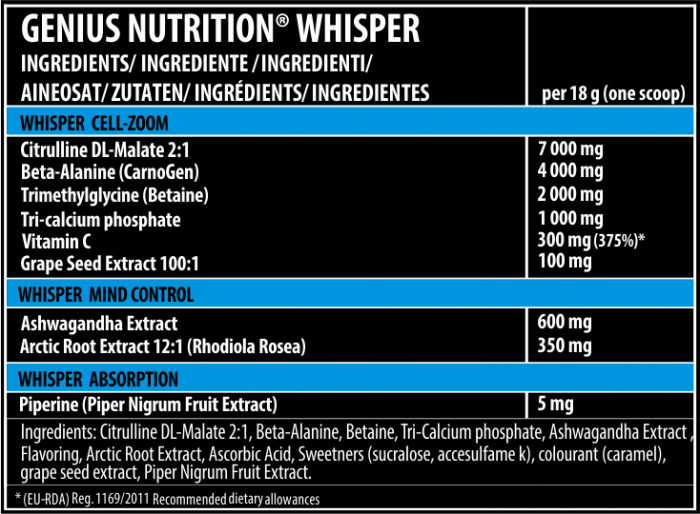 Whisper is a top-edge product and every single gram counts when it comes to effectiveness. After all, this is why is made by Genius Nutrition. We use only citrulline because the body converts citrulline into arginine, and citrulline actually does what arginine only promises to do. Arginine is very well known and hailed, but we are after effectiveness, not advertising. Beta-Alanine (Carnosine), 4,000 mg - Beta-alanine supports strength, speed and endurance. Betaine, 2,000 mg - Recent studies have shown that betaine has a number of benefits: increased muscular strength and endurance in particular in barbell bench presses and increased protein synthesis as compared to placebo. It was noticed an increase in the GH and IGF-1 levels, which is good news for any bodybuilder or for anyone who wishes to develop lean muscle mass or to increase muscle definition. Ashwagandha extract, 600 mg - In short, Ashwagandha is a powerful herb which boosts energy, increases strength and naturally enhances testosterone production. In addition, it reduces stress. Vitamin C, 300 mg - Vitamin C is one of the most important vitamins and a powerful antioxidant which improves oxygen utilization and helps recovery after workout. Moreover, there is increased evidence that vitamin C reduces cortisol levels. When taken regularly, it helps clean the body of excess caffeine and stimulants. Grape Seed extract 100:1, 100 mg - It is the most powerful natural antioxidant, and it has numerous health benefits. 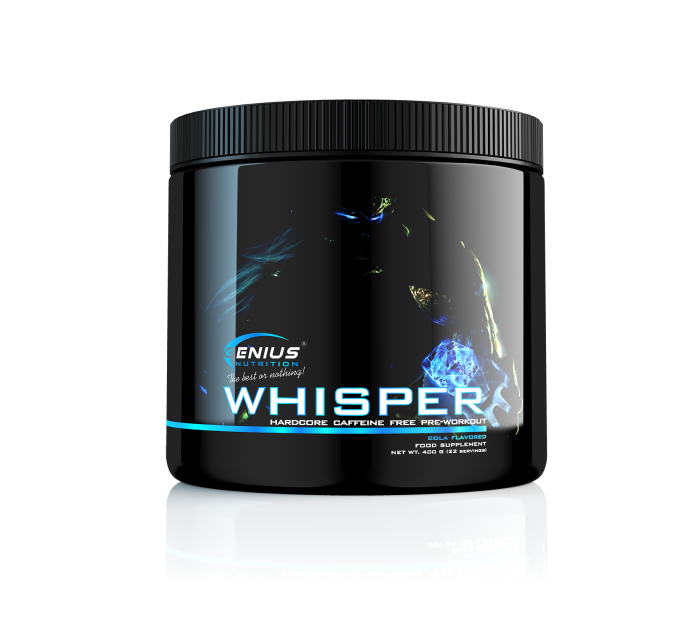 It boosts nitric oxide (NO) production, and in combination with citrulline, promotes vasodilation and helps "pump" nutrients to the muscles. Arctic Root Extract 12:1 - Arctic root is a plant originating from Russia which increases body resistance to physical and psychological stress, fatigue, depression and illness. It grows at high altitudes in Siberia and is more effective than Siberian ginseng. It is said to have been used by the Russian military in the Second World War, political leaders, astronauts and researchers. 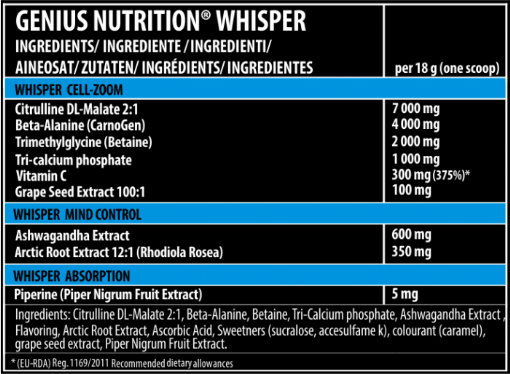 Black pepper extract - It enhances absorption and delivery of the Whisper main ingredients. Tricalcium phosphate - Constant calcium levels are required for normal body processes. Calcium plays an important role in muscle contraction and, as a result, calcium supplementation improves muscle function. However, calcium is essential not only to muscles and blood vessels, but also for hormone and enzyme production. Do not exceed the recommended daily dose. food supplements should not be used as a substitute for a varied and balanced diet. A varied and balanced diet and a healthy lifestyle are recommended. This product should not be taken during pregnancy and breast-feeding without consulting a doctor.